This season, you could be taking a thrilling white-water rafting trip in scenic Nepal; perhaps jet off to sample warm, gooey kachapuri (cheese bread) and meat stuffed khinkali (dumplings) one weekend in Georgia or visit the stunning Giza Necropolis in Cairo and share photos of your holiday with friends and family on social media. All you need to do is shop at City Centres and My City Centres in the Northern Emirates for a chance to make those travel dreams a reality. City Centre Sharjah, City Centre Ajman, City Centre Fujairah, My City Centre Al Nasseriya and My City Centre Al Dhait have collaborated with Air Arabia to give away hundreds of airline tickets to please the globetrotter in you. 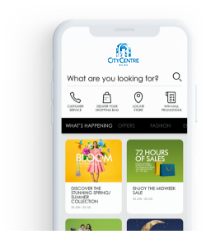 From March 1-31, City Centres in the Northern Emirates will be giving away two air tickets to one winner daily at each mall, while the My City Centres will be giving one ticket away daily at each shopping centre from March 1 until April 29. Customers who spend AED 200 at City Centres in the Northern Emirates stand a chance of winning the air tickets every day. The same spend will give shoppers access to the ‘Plane Virtual Motion Game’. Participants will have to use their body motion to guide a plane on the big screen set up in the activity zone, go through virtual rings, avoid obstacles and collect tokens to win the game. Shopping for AED 100 at My City Centre Al Nasseriya and My City Centre Al Dhait will give customers a chance to enter the daily draw from March 1 until April 29. The malls will host plenty of fun, interactive sessions on the weekend for the entire family as well. Children and parents can bond over art and craft activities where they’ll be guided into creating personalised passport holders and luggage tags from 5pm until 11pm from Thursday – Saturday.